On December 22, 2018, revisions to Pennsylvania's Storage Tank and Spill Prevention Program regulations (25 Pa. Code Chapter 245) went into effect, strengthening many of the operation and maintenance ("O&M") requirements for underground storage tank ("UST") systems. 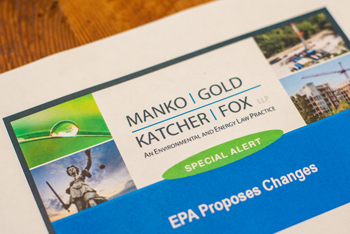 These changes ensure that Pennsylvania's regulations are no less stringent than the federal regulations, which were substantially updated in 2015. In addition to the strengthened O&M requirements, the updated regulations also create a new, intermediate certification level for tank installers, as well as significantly increasing the types of releases that must be reported to PADEP. The new O&M requirements are aimed at preventing releases from tank systems by increasing the frequency of inspections and testing of release detection and spill prevention equipment, as well as adding or replacing equipment in some cases. Some of these requirements provide grace periods for tank owners and operators to achieve compliance, and others do not. The new category of certified tank installer may perform minor modifications to UST systems, and was created in an attempt to offset some of the increased costs resulting from the expanded testing that is now required for many UST system components. Note that the revisions also increase certain inspection obligations for aboveground storage tanks. One of the more significant impacts of the revised regulations, from the perspective of the regulated community, is likely to be the new release reporting requirements. These changes expand the reporting requirements to include releases to containment structures in many instances, even though such structures are typically designed to prevent releases from reaching the environment. Under the new rules, releases from regulated storage tank systems into containment structures are reportable if they equal or exceed reportable quantity or discharge thresholds established under the federal Superfund and Clean Water Act statutes. The reporting requirements also include releases of petroleum to containment structures in any amount, except for releases less than 25 gallons or below the lowest penetration of a containment sump, when certain conditions are met. Storage tank system owners and operators should familiarize themselves with the new reporting requirements immediately, as there is no grace period for compliance with the new requirements, and the timeframe for reporting a qualifying release is as soon as practicable (and no later than 24 hours) after confirmation.